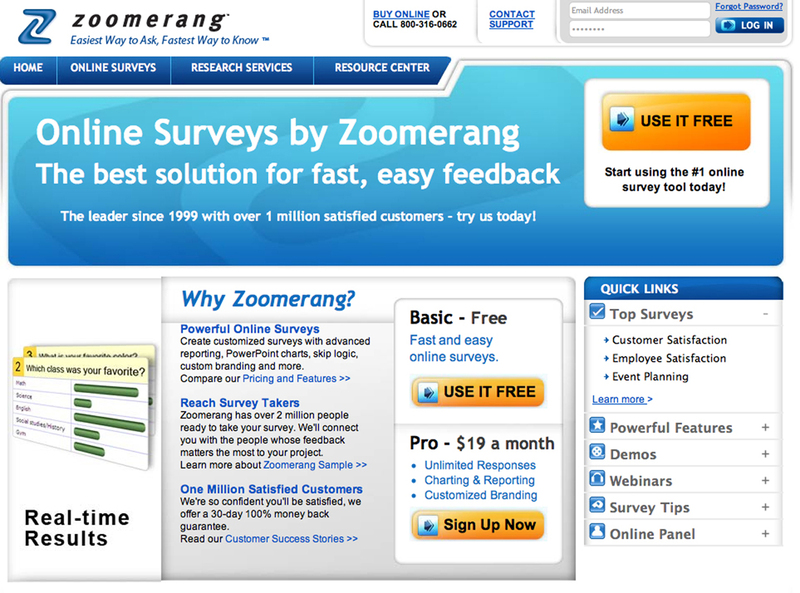 Here is a cool resource for custom online/mobile surveys: Zoomerang.com … and it’s free! This website has a lot of great features. It allows you to create surveys with advanced reporting, PowerPoint charts, skip logic, custom branding and more. There are three different membership tiers; and the free membership gives you access to the basic tools you need to create a survey of up to 300 responses. I gave it a test drive and can honestly say that creating the survey is REALLY easy and there are tons of options. You can create pull down menus, multiple choice questions, organize the question order with a drag and drop feature, and preview the survey just as your recipient would see it. So if you ever need to create a poll or a survey, check out their site … or have Oya do it for you!